The Mararit and the Ab Sharib call themselves also the 'Ibilak'. They basically speak the same language with some slight differences. They share a common ancestral heritage. 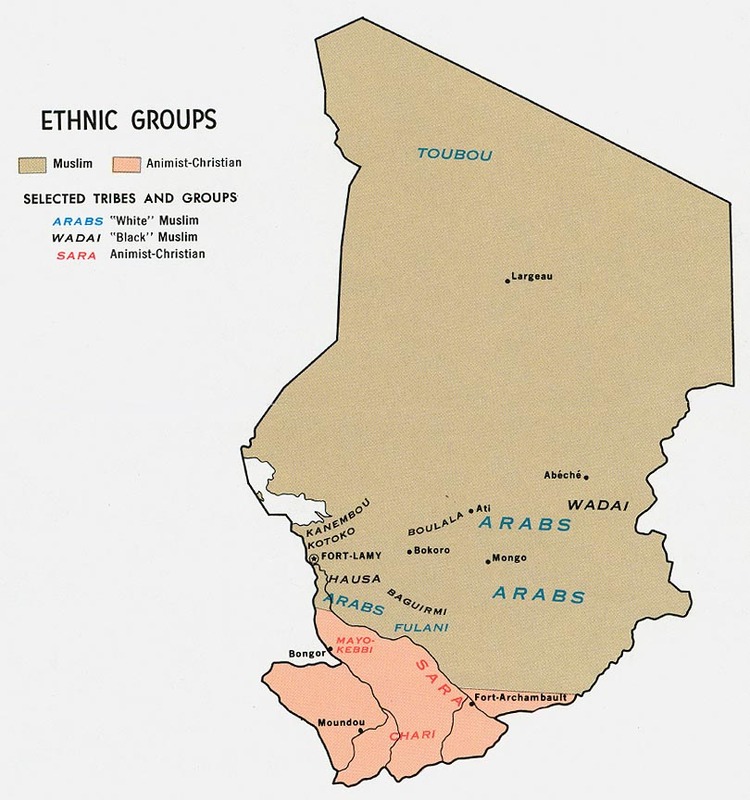 Most of them live in the east of Chad, north-east of the major market town of Abeche. 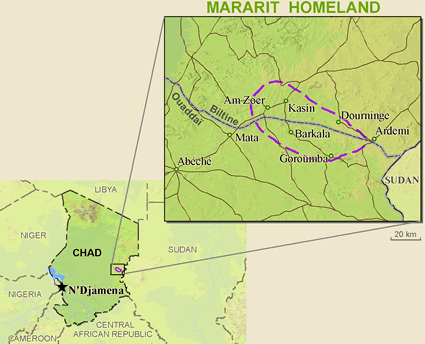 The Ab Sharib branch of the Mararit people group moved northwards some time ago, into a more mountainous area. Both groups benefit from living in an area with plentiful water supply. The gardens around the rivers can be cultivated all year round and they don't have to move their herds around to find water like some other groups in northern Chad. Agriculture lies at the heart of the life in Ibilak villages. In many ways they appear to be satisfied with life. Living in an area with good water supplies they can subsist well, sustaining a traditional lifestyle in ways passed down from their forebears. In recent decades there were large numbers who went elsewhere for work when there were years with famine conditions. These days many of the men travel to other places, such as the Sudan or Ndjamena. With extra resources in hand many have returned and many plan to return and resume their livelihood in their villages in the Ouaddai province. Around the time the rains are expected, sacrifices are made before the seeds of their main staple, the millet, is sown. With that they ask for God's blessing of enough rain and a good harvest. These sacrifices probably go back to practices of pre-Islamic traditions, but today all the Ibilak profess to be Moslems. 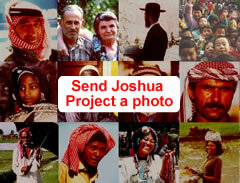 The Ibilak are a totally unreached people group. Pray that they will become open to hear the Gospel and that "the feet of those bringing the Good News" will come to the heartland of these people who have yet to discover who Jesus really is and what he could mean to them. View Abu Sharib in all countries. Location in Country: Wadi Fira region: Biltine Department, Am Zoer Subprefecture (Abou Charib); Ouaddaï region: Assoungha department, Mabrone subprefecture (Mararit).